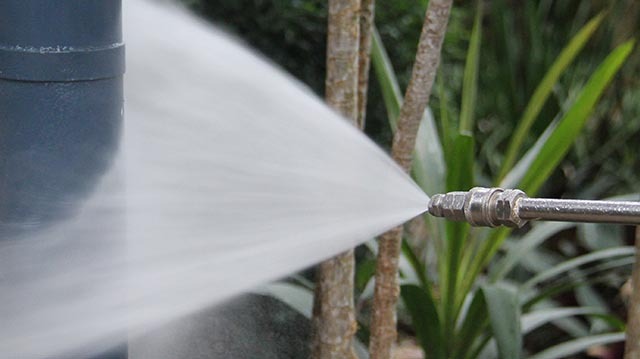 Question: Why should I get my Ballina property pressure cleaned? Answer: Pressure cleaning guards against corrosion and mould and can extend the life of your home. Oliver and the team are available for pressure cleaning jobs in Ballina year round. With lots of lovely flat concrete spaces and seaside homes in Ballina, pressure cleaning tasks are varied and common for our team. Ballina pressure cleaning is often used as a guard against corrosion or mould penetration due to the moist and sometimes salty air quality. Pressure cleaning in Ballina ranges from driveways, house washes, gutter and roof cleaning and many other commercial pressure cleaning tasks. Our friendly team, familiar with all the pressure cleaning requirements residents in Ballina may have, are ready for your call.